Gift baskets have become a popular gift for various occasions throughout the year. The wide possibility and variety of gift baskets allow many entrepreneurs, including home business owners, to run their own gift basket business. To help understand what is needed to start and run a gift basket business, we interviewed Kathy Lindberg, founder of GiftBasketGallery.com. While Kathy has since moved on to a different business, she graciously shared her insights and advice on starting a gift basket business. I began my business in 1997 when my children were young. I had been a Music Therapist for 10 years and was burning out quickly. In addition, I wanted to spend more time at home with my young children. After some research into home-based businesses, I became intrigued with starting a gift basket company. After more research into this field, I began my company. My business began, and continues to run, out of my home with plans to expand out of the house as my business grows. What makes the gift basket business right for you? Gift basket designers, I believe, need to have a creative flair. I also believe they need to be people who enjoy creating something of beauty. I fit both of those criteria. I was drawn to this business because I would be able to use my creativity. This industry also brought out a passion for creating something special for other people–something that would make them feel special. For those thinking of starting a gift basket business, would this be a good business for them to start from home? And why? Yes. A gift basket business is very easy to start and run from the home. One of the advantages this provides is low overhead. You are not having to pay high rent. You are also able to deduct the portion of your home that is used for the business as well as a part of the utilities from your taxes. For me, running my business from a non-commercial location allows me the flexibility to tend to my family when the need arises. If something comes up I don’t have to shut down the store to deal with it. What advice can you give someone who wants to start this business? Don’t get caught up in the creativity aspect of this business. There is much more to running a gift basket business than just making the baskets. It is like any other business and if you are the sole employee of your business, you have to do it all–marketing, creating, shipping, invoicing, customer service, etc. It is hard work to run a successful business. Do your research before you begin. Is a gift basket business expensive to start and manage? There are stories of people who have started this business on a shoestring. I don’t think it is the norm. It takes many, many hours to promote and run this business. It also takes the adequate capital. There are ways to start small and with less money, but it takes time and hard work. I market through my website, through sales calls, through networking functions and word of mouth, through direct mail, and through the yellow pages. How has your web presence helped your business? My website has helped my business immensely. It has allowed me to service and reach customers from not only around the country but from other countries as well. It would have been very difficult and certainly more expensive to be able to market to such a large area without a website. Has this business always been easy? Did you ever think about giving up? This business has never been easy. It takes a tremendous amount of work, long hours, and sacrifice. 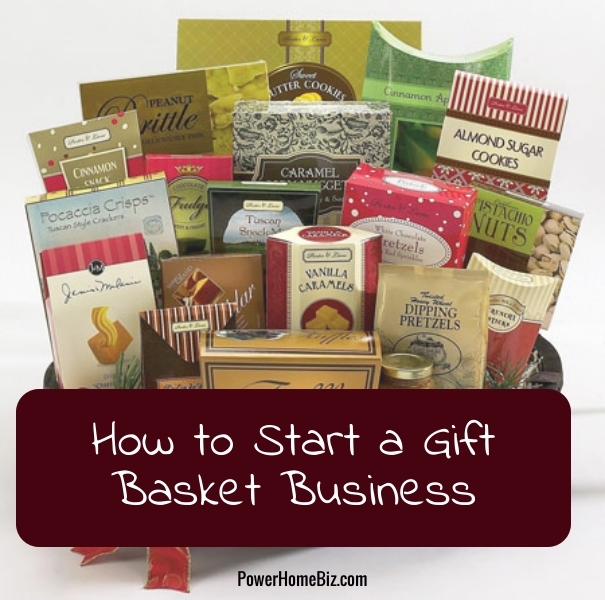 Yes, in the early years of my business I thought about throwing in the towel, but my love for my business kept me going, as well as my determination to build a successful gift basket company.